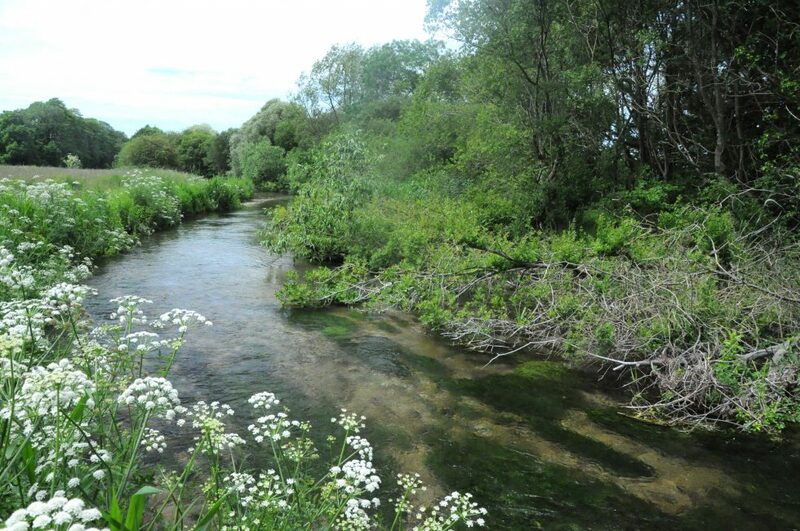 In collaboration with the Environment Agency, Bossington Estate have embarked upon an ambitious programme of habitat and chalk stream restoration on the River Test. 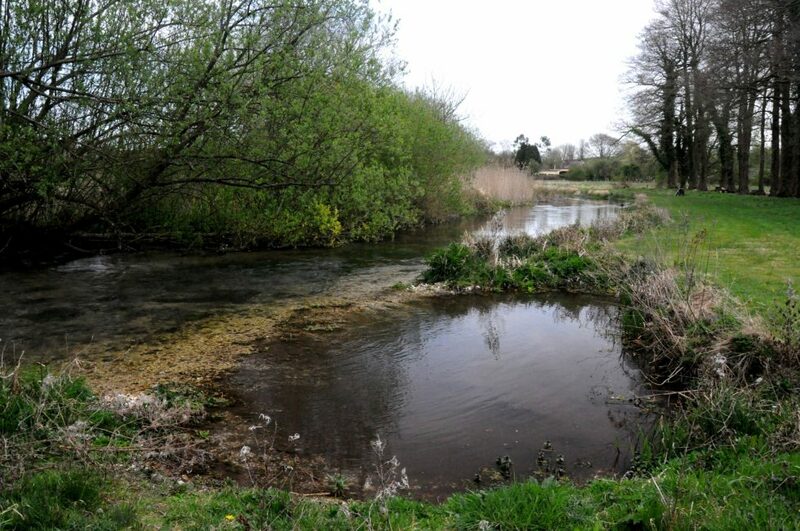 A river restoration design assignment was completed by Cain Bio-Engineering for several ‘carriers’ of the River Test at Bossington Estate during 2012 and 2013. Restoration works commenced in October 2013 with the Old Station Beat, a 450m length of channel which was typically over-wide and over-deep, with low level board weirs. 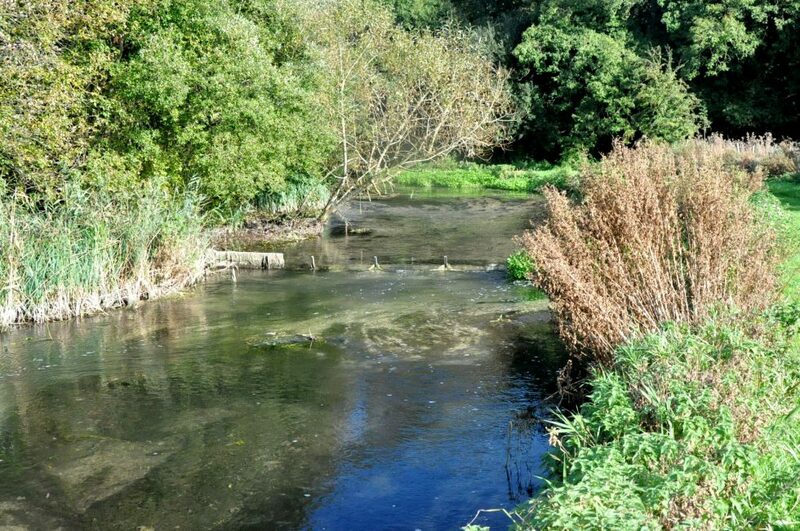 The design incorporated existing water vole habitat to ensure this would not be disturbed during the works. Cain Bio-Engineering undertook site management of the restoration and completed construction alongside Bossington Estate staff. 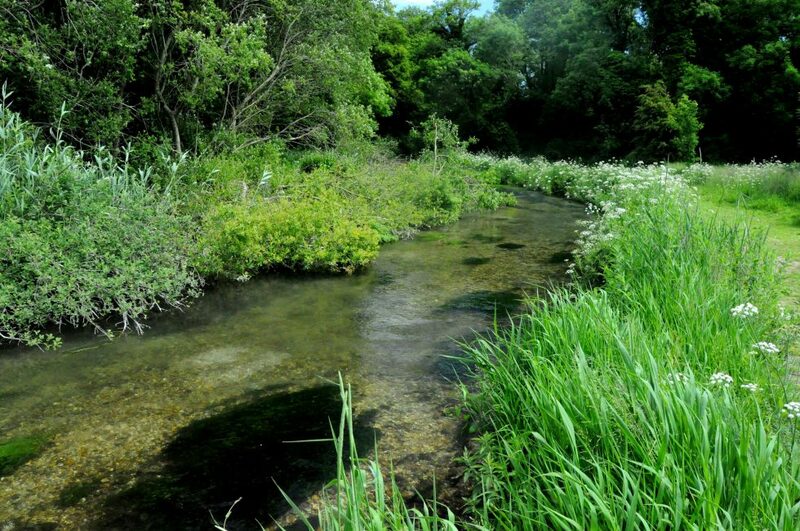 A range of river restoration techniques were used for the project including reintroduction of gravel riffles, installation of woody debris, creating a channel meander sequence, raising of the bed level using site-won gravel and channel narrowing to transform this section of river from a silt-laden channel to a classic chalk stream. Marginal habitat was enhanced through the creation of backwater scrapes. Before – View downstream of an over wide and silt-laden reach. 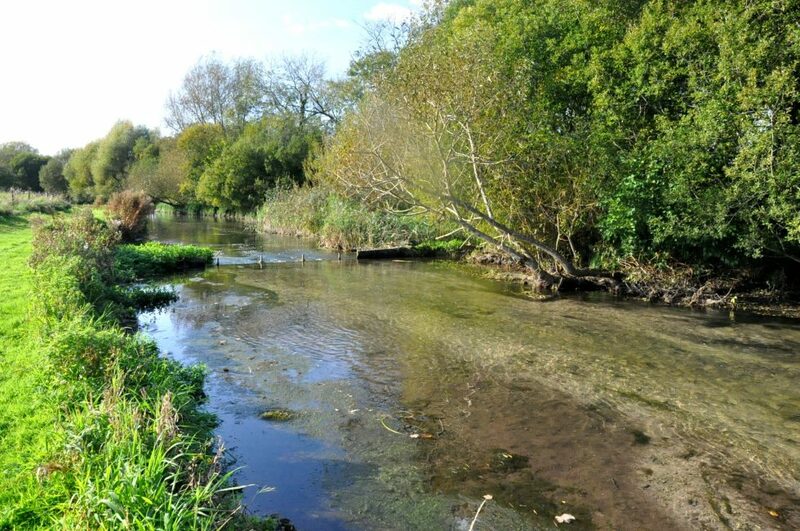 After – View downstream post restoration showing improved channel velocity, clean bed gravels and increased trout cover. Before – View upstream of a section of the restored beat. After – View upstream showing clean bed gravels, improved Ranunculus (weed) growth and enhanced marginal habitat. After – Backwater scrape created to enhance marginal habitat. Further detail can be found on the restore rivers website.